Welcome to my web site – I’m glad you’re here. When we choose a psychologist or counsellor, it is important to pay attention to professional qualifications, expertise and experience. It is also important to notice whether the therapist feels like a comfortable fit for us. An effective psychologist or counsellor is someone we feel at ease talking to, who hears and understands our concerns, and who has the skills to guide us along our path of healing, personal growth and spiritual well-being. I am not currently accepting new therapy clients, unless you are contacting me from an agency that regularly refers to me. I am a Registered Psychologist in the Vancouver Burnaby Metrotown area. Most of my clients come from Vancouver, Burnaby, Richmond, New Westminster, the Tri-Cities, Surrey and the North Shore. Clients are welcome to contact me themselves, or are referred by family doctors, rehabilitation professionals, government agencies, or insurance companies. Please look at the Services Menu on this site for detailed information about the psychotherapy, psychological assessment, disability management, and consultation services I offer. I hope that the information provided here gives you a sense of whether I might be the right psychologist to work with. Please call or email if you would like to make an appointment, get more information, or ask questions. I look forward to hearing from you. 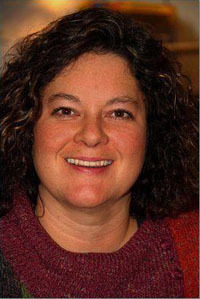 Dr. Susanne R. Schibler, Registered Psychologist, Inc.